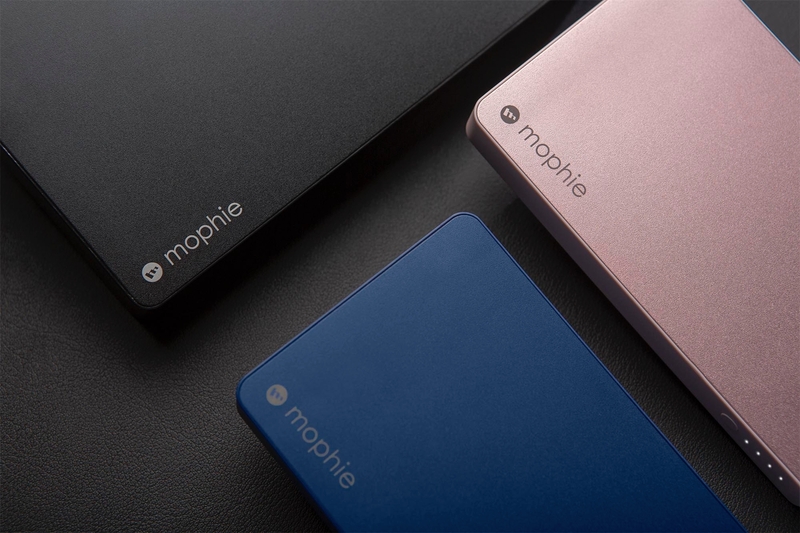 Mophie has announced a new lineup of power packs designed exclusively for Apple devices, featuring an Apple Lightning connector for power input as opposed to the more traditional micro USB port. The new powerstation models allow users to use a standard Lightning cable to recharge the battery pack, avoiding the need to pack an additional cable when travelling, since the same cable can also be used to charge an iPhone, iPad, or iPod directly. The new battery packs are available in four different configurations: the standard powerstation and powerstation plus each provide 6,040 mAh of power with two USB ports, with the base model priced at $60 and the plus model replacing a USB port with a built-in Lightning connector and priced at $80. Powerstation plus XL sports a 10,000 mAh battery and features a built-in Lighting connector and single USB port, while the powerstation XXL provides 20,200 mAh of capacity with three USB ports; both models sell for $100. The powerstation plus XL also uniquely features the ability to recharge wirelessly from any Qi-enabled charging pad. The new lineup is available exclusively from Mophie’s web site and in Apple Stores.